My 84-year old grandma taught me how to bake these pancakes. 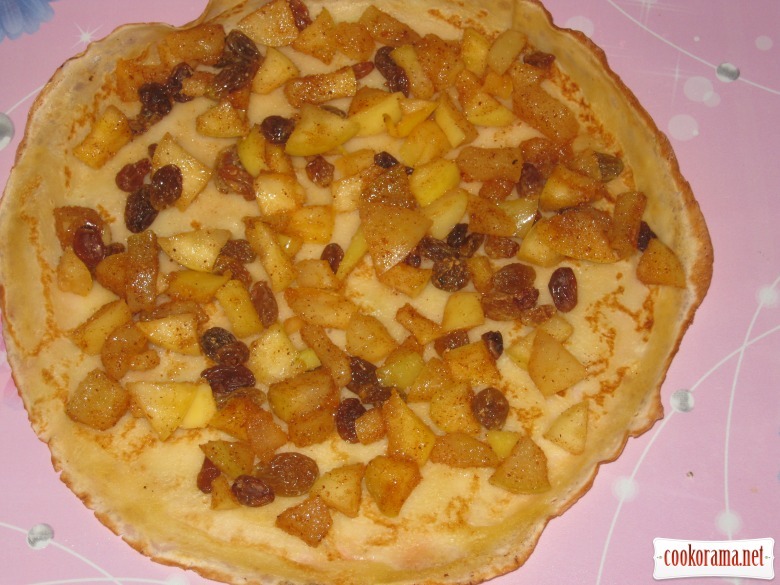 Due to this recipe, you`ll always have beautiful pancake batter without clumps and special efforts. 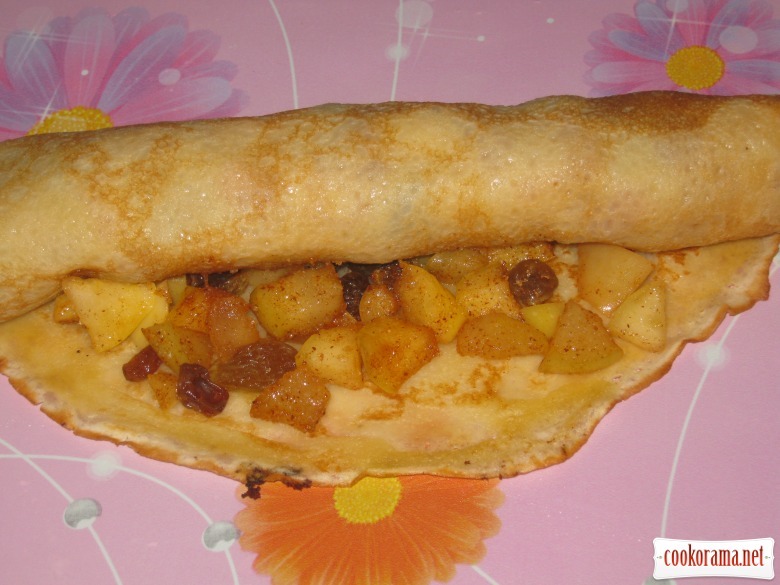 And then any baked pancake can be easily turned into your own " culinary masterpiece ", adding the simplest ingredients. For example, apples, cinnamon, raisins and… meringues. Pour in saucepan half of prepared whey, ie. 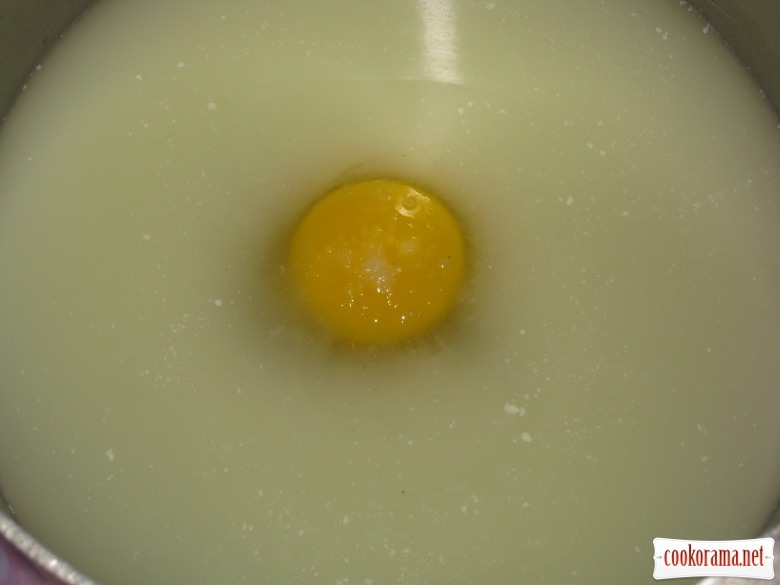 0,5 l. Separate yolks from whites, from two eggs. 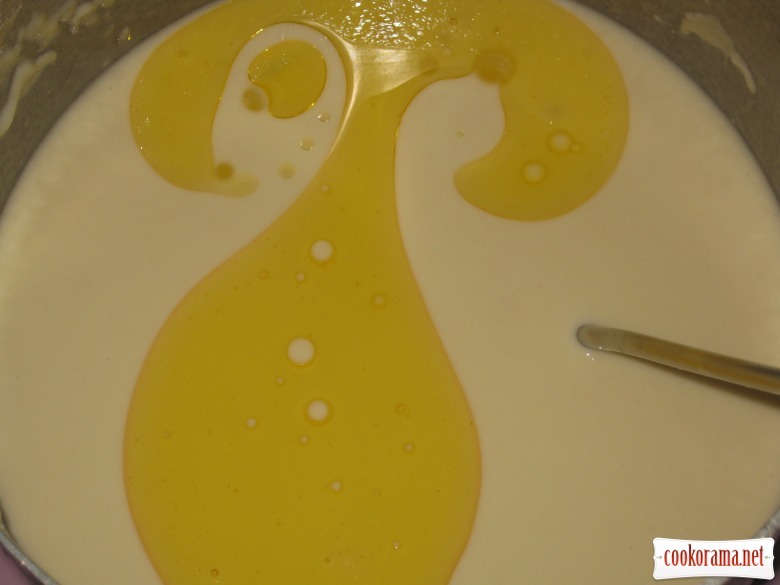 Whites – in the fridge, yolks and 1 whole egg – in batter. Add sugar and salt to taste. Stir all well. Sift flour necessarily immediately before use. 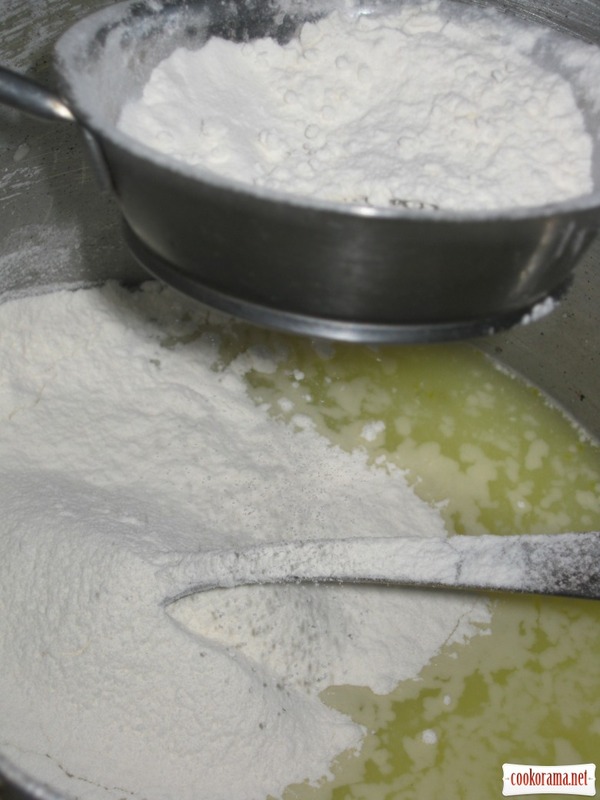 Add such number of flour, that dough turned out as good thick cream. Now add the rest of whey and knead dough well. It turned out liquid pancake batter without any clumps. Not necessarily bake pancakes from whey. You can do it with mineral water, kefir, milk, whatever you got in the fridge. Just in our family, if stuffed pancakes are planned, whey for baking is taken, and for 1 l of whey put 2 eggs. If pancakes are without stuffing, make with milk and with 3 eggs. Such pancakes are more gentle. If I want pancakes with holes, then bake with mineral water, or add soda in batter (it helps to make holes). If pancake batter is kneaded with whey or kefir, I DO NOT slake soda (they slake it be themselves). Add oil, stir well. Fry pancakes in dry pan from both sides. That`s how stuffing is prepared. 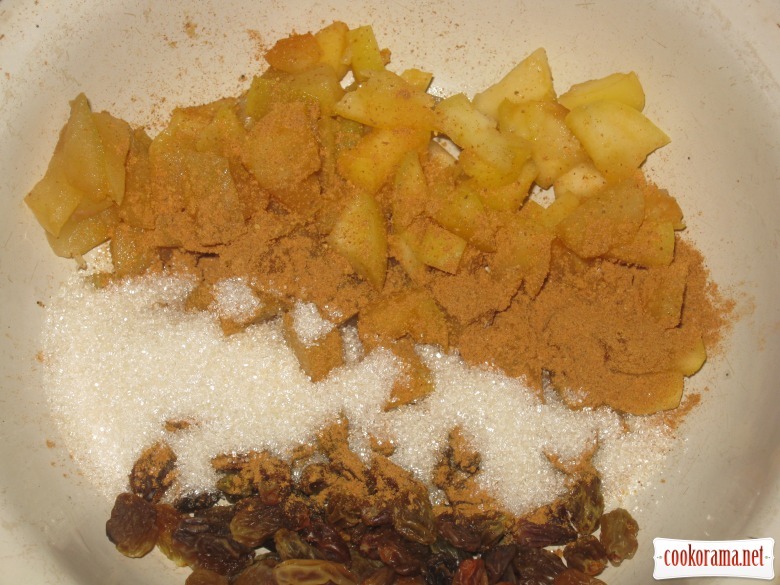 Combine apples, pre steamed raisins, cinnamon, sugar. Stir all well. Evenly spread stuffing on pancake. Fold pancake in roll. 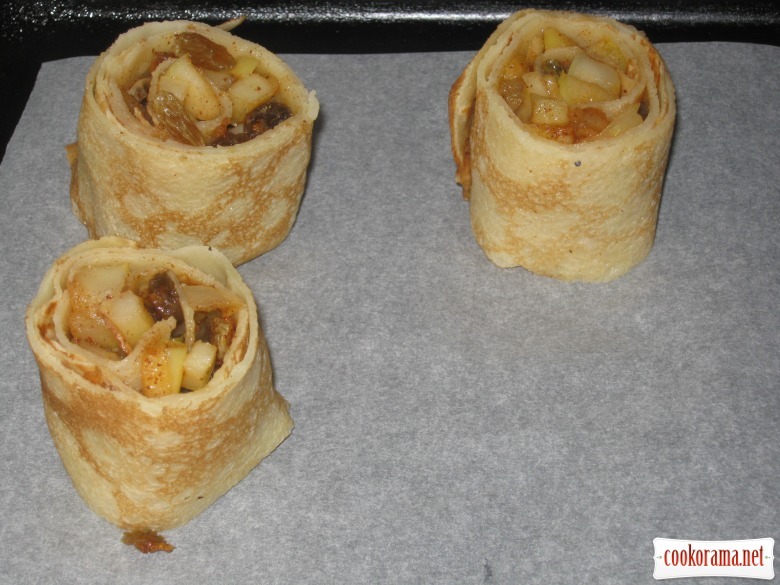 Then wrap roll in other pancake, for roll not to unfold in oven. Cut roll in pieces of 3-4 сm long. Spread on covered with parchment baking sheet. 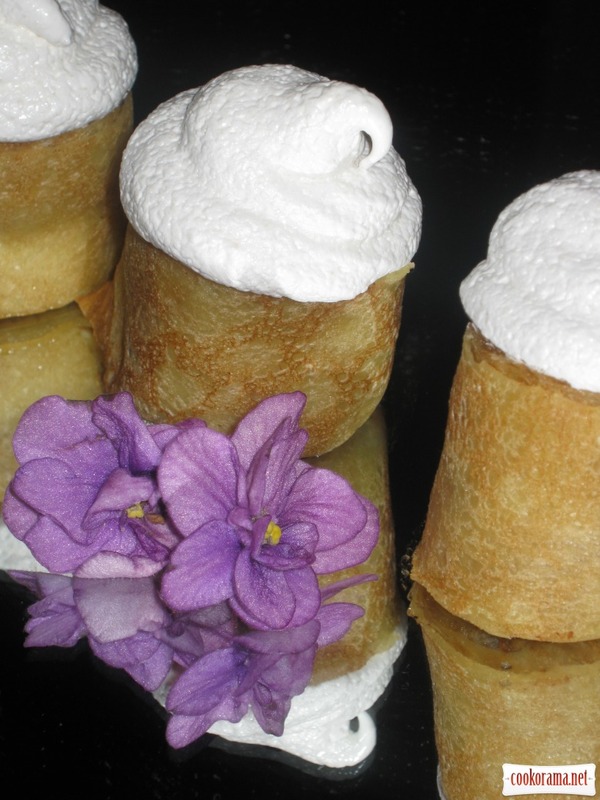 For meringues use standard proportions: for 1 white 70-80 g of sugar. Mix cooled whites with pinch of salt into staple peaks. Next, pour sugar, continuing constantly stirring. 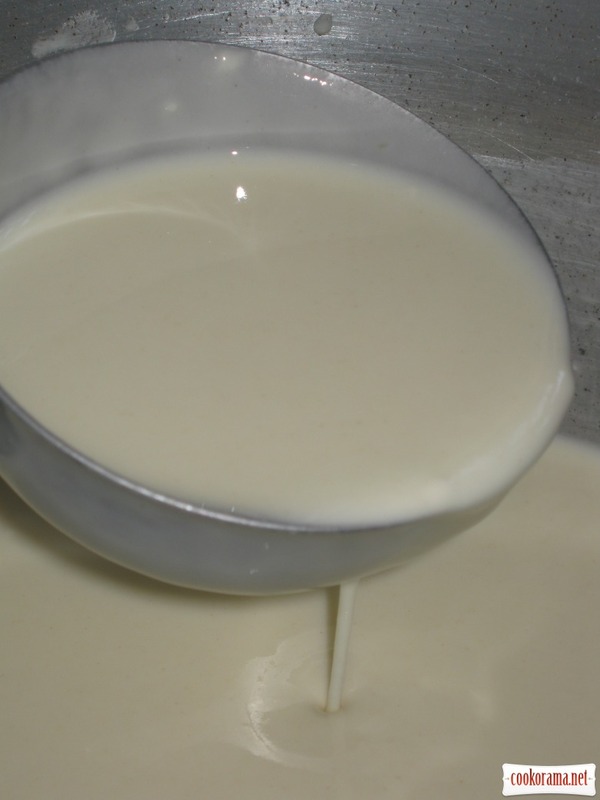 You can not add sugar at the beginning of mixing, as whites will be oily. 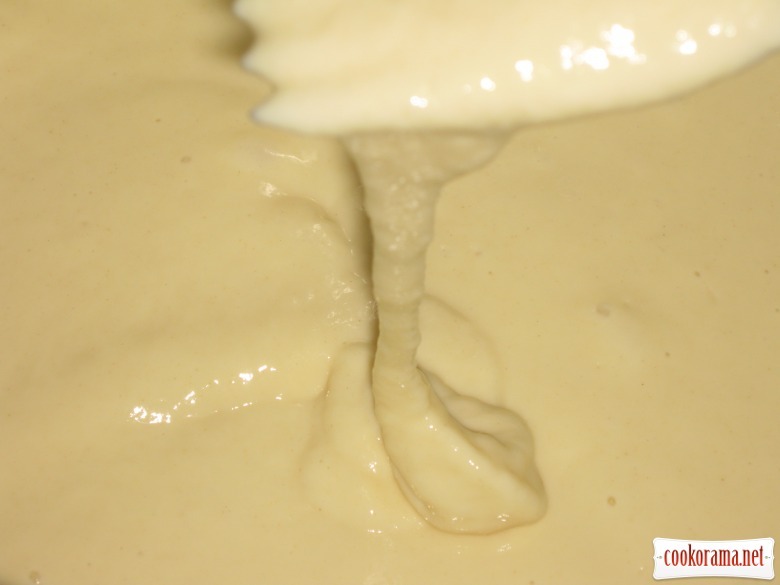 Resulted dough should be baked at once, as by baking or before mixing white mass loses its quality. 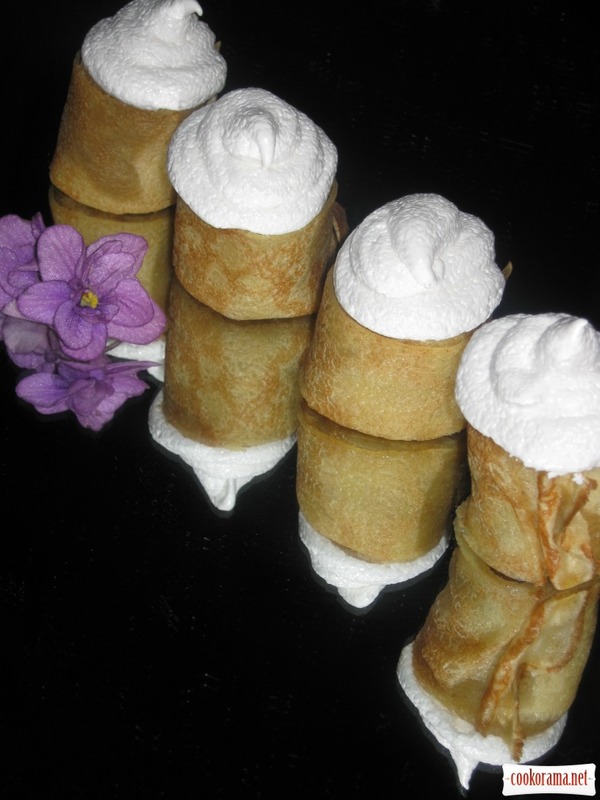 Shift ready mass in confectionery syringe and put on the rolls. Put in heated at 100 C oven and bake for 40 min. DO not open the door till complete cooling. 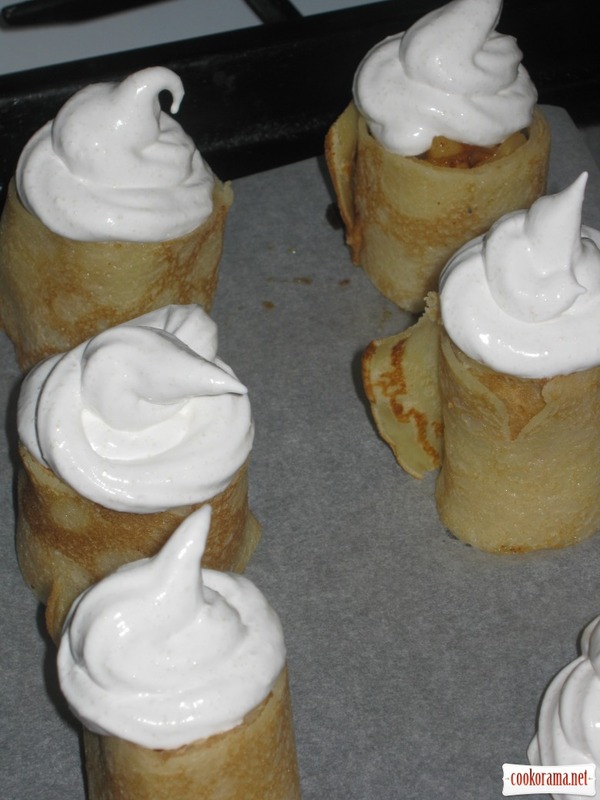 Top of recipe "Pancake cakes with apples and meringues"